The PADI Dive Master Course is a challenging, but extremely rewarding course. 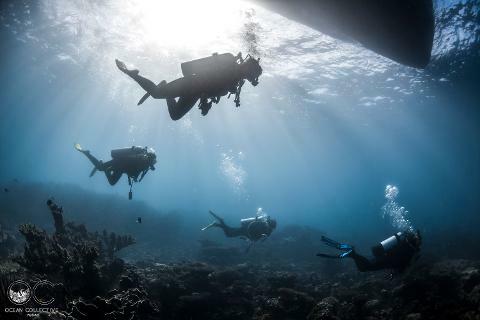 Candidates will learn everything required to become a true dive leader. Mentored closely with your instructor, you will fine tune your dive skills to the highest-level demonstration quality and refine your rescue skills to be able to respond appropriately and easily to common problems. You will learn the skills required to manage and supervise groups of divers and gain the diving knowledge needed to become a role model in this exciting international industry. The course is conducted in idyllic Coral Bay, at the heart of the UNESCO World Heritage -listed Ningaloo Reef. This spectacular fringing reef system is the largest of its kind in the world and offers visitors the chance to see vibrant and healthy coral reef gardens, a plethora of tropical reef fish species, small and wonderful reef creatures like octopus, cuttlefish, nudibranchs, right through to mind-blowing species such as whales, manta rays, whale sharks, reef sharks and even orcas! The PADI Dive Master Course is offered during the quieter months of the year – typically July through to March, during the beautiful Australian summer. This course typically takes 2 months to complete, but the duration of this course is primarily dictated by the pace that the candidate wishes to set. The cost of the course is $1500. This includes all of your training with an instructor, PADI Crewpack, equipment rental and as much access to our dive vessel as is required to complete the course. 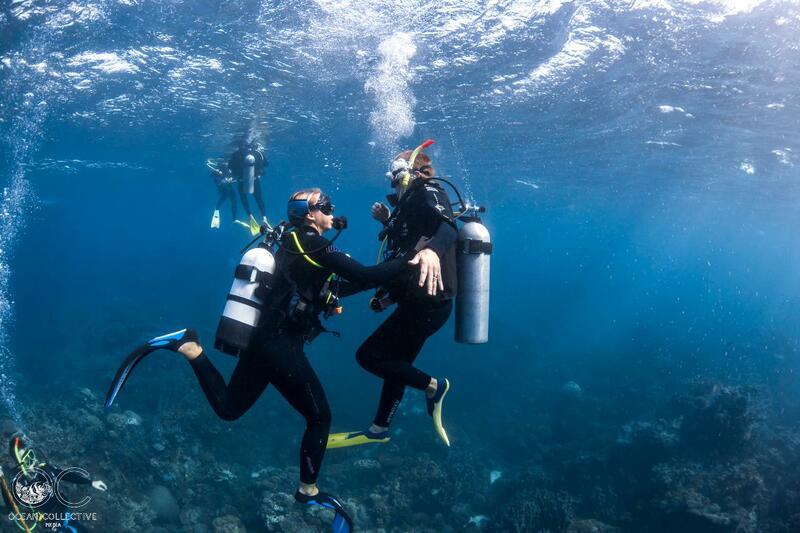 PADI Professional Membership and insurance fees are to be purchased separately.